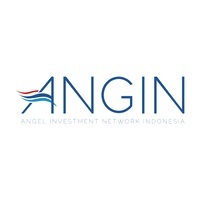 ANGIN aims to serve as a bridge between entrepreneurs and investors, ensuring a smooth flow in the investment process. It uses Connector.ID technology which allows investors to discover investment opportunities. At the same time, this provides a list of capital providers for entrepreneurs. Based in Washington, DC, USA, Arab Angel Fund is a firm specializing on early stage capitalization through seeding and series A investing. AAF bridges angel investors to startup founders in the Middle East & North Africa (MENA), and western Asia to serve these markets. Angels Den is an organization aiming to match startup founders with angel investors through its crowdfunding platform. Through the funds and mentorship of these investors, the recipient startups can further grow. Angels Den also hosts pitch events where founders pitch their business ideas to a panel of investors. This organization expanded in Singapore, Malaysia and Hong Kong starting 2010. AAA was MBAN’s idea of having an ASEAN-based organization of angel investors. This organization was established in 2016 through a Memorandum of Understanding (MOU). This collaborative platform aims to bridge investors and startup founders into mutually beneficial activities. As such, MBAN is the interim point of contact for AAA members. AFTA is a network of angel investors in Asia aiming to facilitate connections between startup founders and potential investors. Dedicated to Fintech (financial technology) specialization and innovation, this network is comprised of investor professionals from who provide not only funding, but mentorship as well. 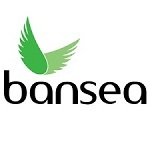 BANSEA, established in 2001, is an angel investment network community in Southeast Asia. It sees angel investors as active players in the startup ecosystem, thus helping them bridge to startup entrepreneurs. BANSEA also holds an annual Business Angel of Southeast Asia Awards to honor angel investors responsible in impact investing. Chinese Investment Network aims to connect Chines entrepreneurs and angel investors. James Badgett and Mike Lebus established this network back in 2004 in order to address the seed funding challenge their colleagues experienced back then. They have successfully raised ¥200 billion for some of the startups across the world. CBA is the first investment network dedicated to cross border investments. CBA has over 100 investors in various countries (India, China, UK, USA, and Spain, among others) and we are closing an average of 2 deals a month. CBA's goal is to have over 1000 investors globally and intent to close 10 to 15 deals a month. Formed in 2011, HKBAN aims to make angel investing a professional endeavor. It organizes a series of Investment Matching Gatherings (IMGs) where entrepreneurs get a chance to present their business plans to angel investors. Indian Angel Network is a network of Angel investors keen to invest in early stage businesses which have potential to create disproportionate value. 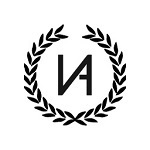 The members of the Network are leaders in the Entrepreneurial Eco-System as they have had strong operational experience as CEOs or a background of creating new and successful ventures. They share a passion to create scale and value for startup ventures. Korea Business Angels Association (KBAN) established the Angel Investment Support Center in 2012 serving as a bridge between angel investors and startups in South Korea. KBAN helps startups build a network of investors for funding, mentorship, and other useful and relevant information from industry experts. LAN is a networking platform for angel and private investors looking for potential Sri Lankan startups and businesses for funding. LAN guides investors on their investing journey, as well as provide mentorship to the founders until exit. The MBAN is the Official Trade Association And Governing Body for Angel Investors and Angel Clubs in Malaysia. It strives and aims to put forward the agenda of Angel Investing in an all inclusive manner for the benefit of members, the Angel ecosystem and start-ups. 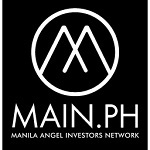 Established in 2016, MAIN.PH comprises of a committed group of angel investors and corporate members aiming to help one another in looking for prospective investments. MAIN hosts a quarterly meeting for its members to review the deals so far. 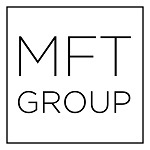 The MFT Group of Companies focuses on helping businesses of all kinds, from entrepreneurial startups or established businesses alike. It is MFT's aim for all entrepreneurs to succeed, thus MFT Group provides tailor-made funding suited to empower Manila-based business owners of all stripes to achieve their desired goals. Middle East Investment Network aims to connect entrepreneurs from the Middle East with angel investors. In this website, entrepreneurs can sign up, upload their business pitch, find investors, and complete their capital raise. James Badgett and Mike Lebus established this network back in 2004 in order to address the seed funding challenge their colleagues experienced back then. They have successfully raised $300 million for some of the startups across the world. The Malaysia-based NEXEA Angel Investor Network serves investors who look to funding startups. This network is comprised of professionals and businessmen owning multi-national enterprises and currently running listed companies. Not only they provide investments to potential startups, but mentorship as well. Philippines Investment Network aims to connect Filipino entrepreneurs and angel investors. James Badgett and Mike Lebus established this network back in 2004 in order to address the seed funding challenge their colleagues experienced back then. They have successfully raised ₱15 billion for some of the startups across the world. Plug and Play is a global innovation platform. Plug and Play connects startups to corporations, and invest in over 100 companies every year. Plug and Play has 22 locations across the world with success stories that include PayPal, Dropbox, SoundHound, and Lending Club. Singapore Angel Investment Network aims to connect Singaporean entrepreneurs and angel investors. James Badgett and Mike Lebus established this network back in 2004 in order to address the seed funding challenge their colleagues experienced back then. They have successfully raised $400 million for some of the startups across the world. 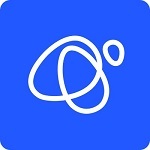 Taipei Angels (TA) is a Taipei-based funding organization comprised of angel investors looking to invest on startups with high potential for impact and profitability. Established in 2011, TBAA is an organization of angel investors in Turkey aiming to invest on early startup businesses, TBAA is comprised of 6 committees that have to do with innovation, incubation centers, start-ups, exit, and mentorship.